If you've been hanging out on Facebook with Amazing at Home, you know we're not just talk. We give you amazing value everyday with our tips and training. 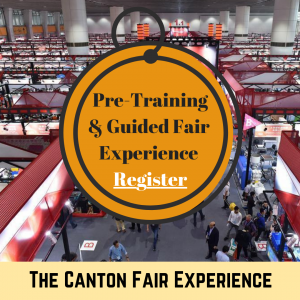 Get ready because we are combining all of the struggles E-commerce sellers have into one incredible hands-on course that starts with online training sessions and ends in person at the Canton Fair in China! It's not just talk. We are putting our money where our mouth is. 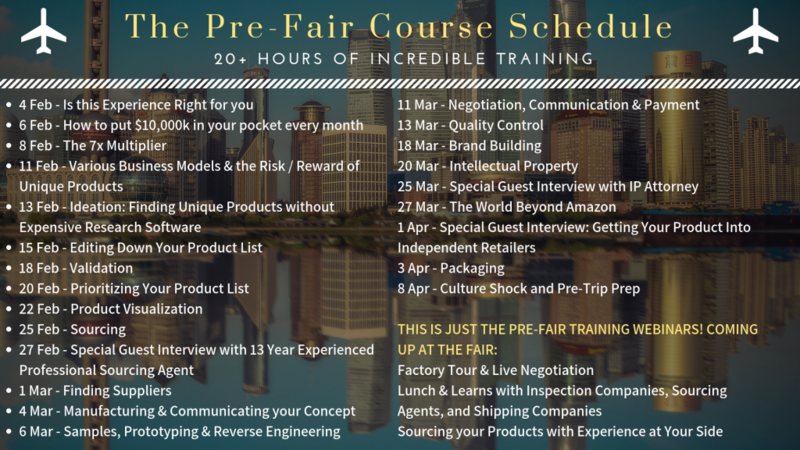 Come with us to China and participate in over 20 hours of instruction BEFORE even going to the fair. Then you'll be joining us at the fair for even more hands on learning. It's the experience of a lifetime. 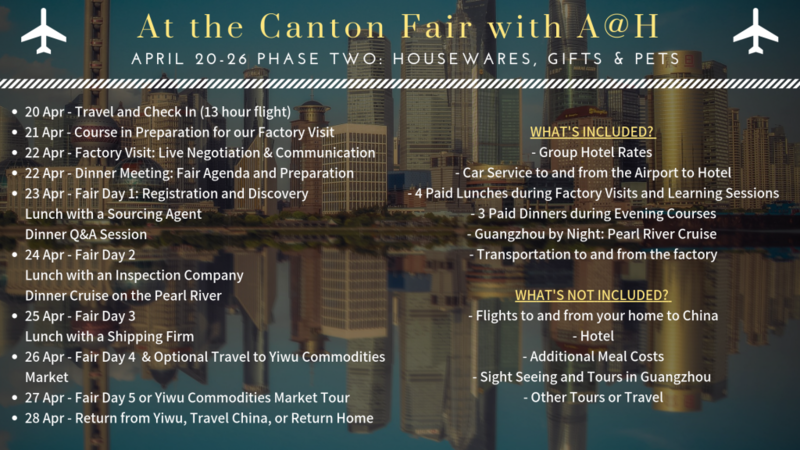 We will actually identify a product, validate customer demand, choose a supplier, attend the Canton Fair, visit the factory, negotiate a real deal, arrange packaging, and start our first order. All with YOU at our side. Packaging. Thinking 'inside' the box. Optional Trip to Commodities Market in Yiwu - We will be offering an optional trip to the Yiwu Commodities Market, leaving Friday returning Sunday. Airfare from Guangzhou to Yiwu and back is not included. Space is Limited... get on our mailing list to be notified when the next course opens... Click to register!